Niagara-on-the-Lake, ON – Since its introduction in 2017, the innovative LIVETARGET BaitBall Spinner Rig has captured the attention of both anglers and fish. This ground-breaking concept combines the premier design skills at LIVETARGET with the calculated mimicry of nature's own handiwork, creating a true multi-dimensional lure offering – one that fish certainly haven't seen before. The BaitBall Spinner Rig is a multi-wire lure that incorporates soft plastic "teaser" fish on three arms, a single spinner blade for flash in the center, and a specially designed "target" fish armed with a single, sturdy black nickel hook. Think spinnerbait, yet better. Think Alabama Rig, but refined and castable. 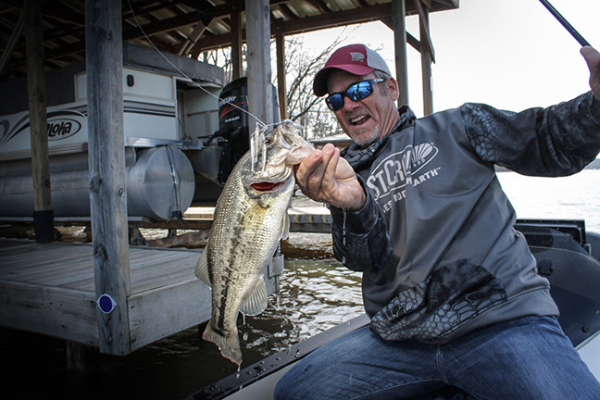 Think about taking the bite-triggering characteristics of many of your favorite lures and incorporating them into a single design. This, and more, is the BaitBall Spinner Rig, which is offered in three frame sizes, with two weight options for each frame.